The Bharatiya Janata Party (BJP) on Friday hailed Prime Minister Narendra Modi for giving Bhojpuri language its due "respect" after coming to power. 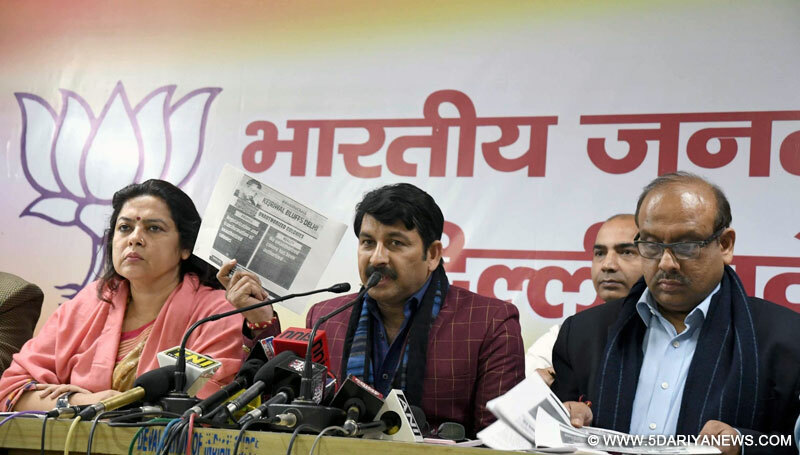 "Bhojpuri language, which was neglected for years, got its due respect under the leadership of Prime Minister Modi," Delhi BJP President Manoj Tiwari told reporters here.He also said Modi, being a Lok Sabha member from Varanasi in Uttar Pradesh, has done justice to the people of Poorvanchal belt.Tiwari's remarks came in the wake of the three-day Bhojpuri Film Festival, organised for the first time ever, in the national capital from February 3 to 5. The Information and Broadcasting Ministry has given its nod for the fest.At least nine movies would be premiered in the film festival, including the first Bhojpuri film -- "Ganga Maiya Tohe Piyari Chadhaibo" (1962).Tiwari's blockbuster Bhojpuri movie "Sasura Bada Paise Wala" and Bhojpuri superstar Ravi Kishan's "Kab Hoi Gawana Hamar" would also be premiered beside "Bidesiya" and other films.